GeishaGlam by C+I ~ Geisha Giveaways –> Caffeine, Manicures, Bags, Oh My! Holiday fun is in full swing, with New Year’s Eve on the way! 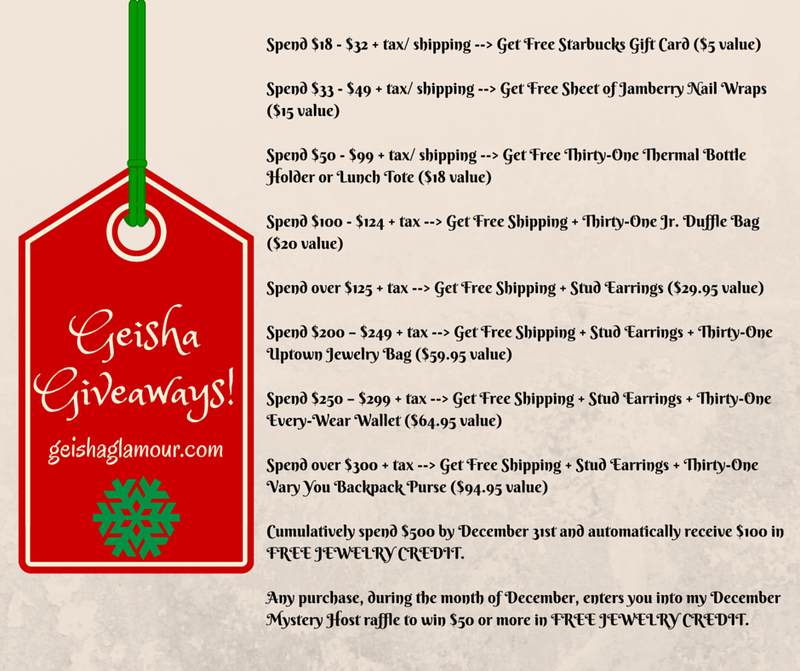 Take advantage of my Geisha Giveaways for December with products from Starbucks, Jamberry Nail Wraps and Thirty-One. Look over the info-graph, below, for details.